It was an agonizing, gnawing fear. What if my son didn’t get the help he needed? For months my husband and I had been concerned about our toddler’s lack of speech. People kept telling us to give him time and he would magically start speaking one day. Everyone had a story to this effect about someone they knew who was once speech delayed, but suddenly, abruptly caught up. Other people told us we simply needed to read him more books or talk to him more often. This advice was a painful insult to our parenting. Of course we spoke to our son and read him books! More than that, it simply wasn’t true. We could tell our son needed intervention that we weren’t trained to give. I was desperate. I was afraid my son would continue to fall behind unless we started speech therapy soon. My fear was that he would struggle for years if I didn’t put up a proper fight for him now. I cried the day we found out our insurance had approved him for speech therapy. Finally he would get the help he needed. The pit growing in my stomach was beginning to recede. Still, I was a bit nervous. Having no experience with speech therapy, I pictured my spirited, enthusiastic toddler sitting in a sterile doctor’s office and being drilled on rote speech patterns. Yikes. Six months later, I now realize I couldn’t have been more wrong. My son literally cheers every time we pull into the parking lot. He races inside, eager to meet up with his therapist and then prances across the gym to the toy closet. I sit on the floor and watch, amazed as his therapists turn every learning activity into a game. Or perhaps they’re turning every game into a learning activity. Either way he adores it. During these sessions I’ve learned too. I’ve caught onto the hand signals used to cue certain sounds. I’ve studied the basic signs he’s been taught so I can use them at home. But I’ve learned deeper things as well. I now know my son is an enthusiastic and tenacious student. He works diligently at every session. I’ve learned I’m not in this alone. When my husband deployed a few months ago, it meant I (temporarily) lost my partner in parenting. While friends and family are supportive, they don’t feel the struggle to hear our son speak as keenly as we do. They can’t appreciate how hard he works or how much time we spend practicing at home. With my husband gone, I thought I would be shouldering this responsibility alone. But I’ve learned I’m not the only one fighting for my son. Our amazing, patient, encouraging speech therapists have joined our team. They’ve been there when I needed advice. They’ve celebrated his accomplishments with me. I know they want my son to succeed just as much as I do. Woo-hoo, indeed, I thought. Speech therapy might be for my son. But it’s been helping me too. 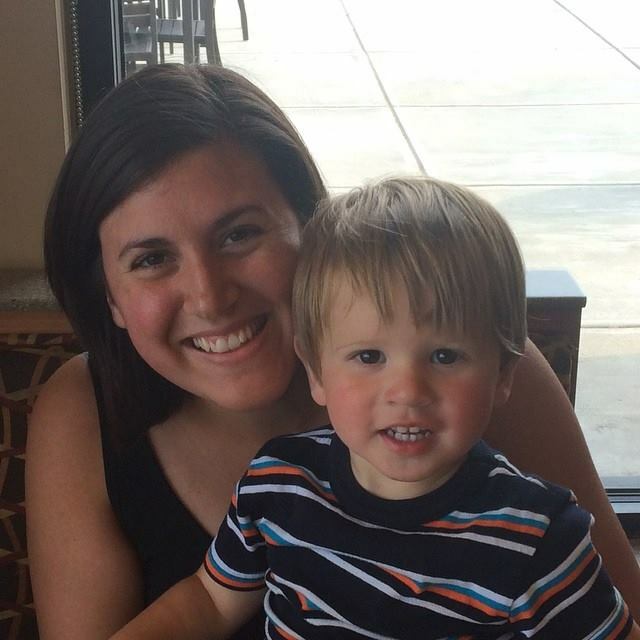 Callie is a freelance writer, a military wife and a mama to one. She’s hopelessly addicted to Starbucks and Netflix, both of which she credits for keeping her sane through her husband’s current deployment. She blogs at http://calliegloriosomays.com and can be found on Facebook and Twitter as well.